Emily Barker is an Australian singer-songwriter, musician and composer. Her music has featured as the theme to BBC dramas Wallander and The Shadow Line. 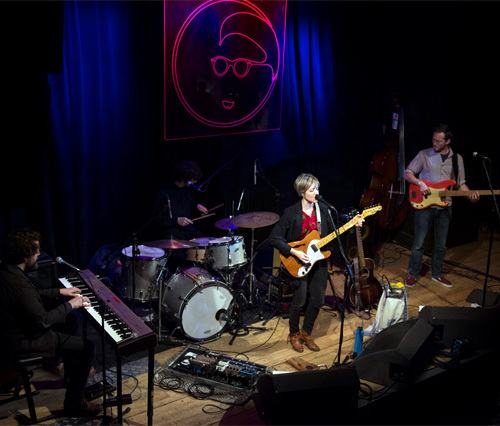 With multi-instrumental trio The Red Clay Halo, she has recorded four albums: Photos.Fires.Fables. (2006), Despite The Snow (2008), Almanac (2011), and Dear River (2013), whilst releasing a solo album The Toerag Sessions (2015). Other projects include Vena Portae (with Dom Coyote and Ruben Engzell) and Applewood Road (with Amy Speace and Amber Rubarth). 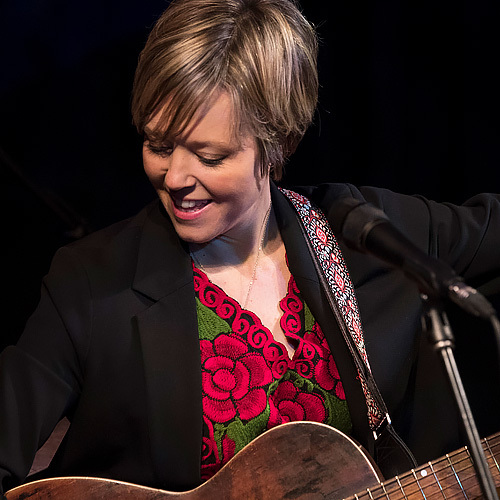 Since taking a hiatus from multi-instrumental all-female group The Red Clay Halo, with whom she made four albums, Barker has been edging closer to the sources of her musical inspiration. At a tender age, her mother taught her to sing harmonies while her father introduced her to his record collection (they didn’t own a television). And then as she entered her teens, she discovered the blues and soul of Aretha Franklin, Koko Taylor and Bettye LaVette, and that’s where this story really begins. In recent years Barker has made herself at home in Nashville and Memphis, performing, collaborating and basking in musical history. In Nashville in 2014 she formed the trio Applewood Road with Tennessee-based songwriters Amber Rubarth and Amy Speace. Their eponymous LP was recorded at Welcome to 1979 studio in Nashville. 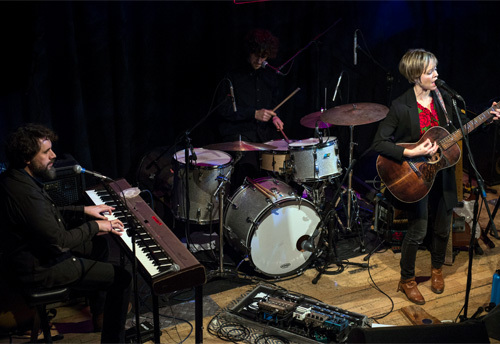 Applewood Road was a regular on best-of-2016 album lists, they toured extensively, played Glastonbury and Cambridge Folk Festivals and made numerous television appearances. Meanwhile, plans for her new record started taking shape soon after. She was introduced to Grammy-winning producer Matt Ross-Spang, and the two hit it off straight away. 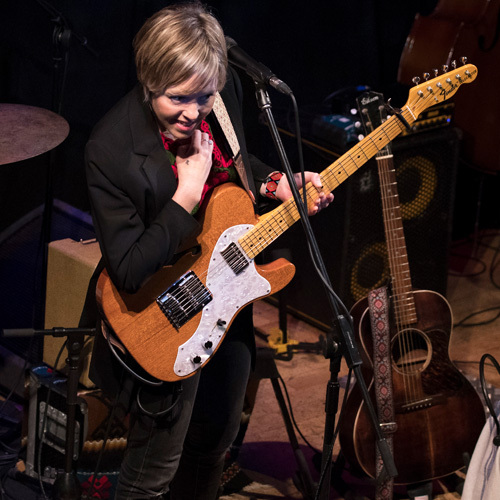 Ross-Spang was the catalyst that brought Barker and Memphis together – born and bred in “Bluff City”, he honed in on where Barker’s roots lay as soon as she played him the songs she had been writing for the album. SWEET KIND OF BLUE was recorded in June 2016, at the legendary Sam Phillips Recording Service in Memphis, where the tapes have been rolling since 1960. Phillips opened his dream studio (he called it “the Cape Canaveral of studios”) after he and his artists Elvis, Johnny Cash, Jerry Lee Lewis and BB King outgrew Sun Studio, a few blocks away. Barker’s 2017 album, SWEET KIND OF BLUE, is a love story between Barker and the great city of Memphis. To understand how this love affair began, you have to go right back to the start… Barker grew up in remote, rural Western Australia; a childhood that was blessed with an almost idyllic, roaming freedom instilled not only an itinerant spirit, but also a mighty work ethic that has seen her playing over two hundred shows a year and on the cusp of releasing what will be her tenth studio album (including her albums with The Red Clay Halo, Vena Portae and last year’s acclaimed debut as part of country trio Applewood Road). The Band On The Wall is a favoured Manchester venue for singer/songwriters. It’s a small, quality venue but with a large stage, pretty good acoustics and something of a rarity in Manchester, generous parking facilities close by. 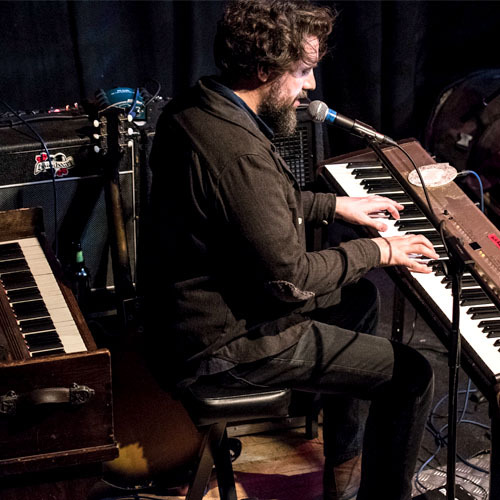 Barker is performing with a full range of instruments including Roland keyboard, harmonium, double bass, bass guitar, rhythm guitar and harmonica. At least a couple of the three band members are multi-instrumentalists. Barker’s weapons of choice are acoustic guitar, electric guitar and harmonica. 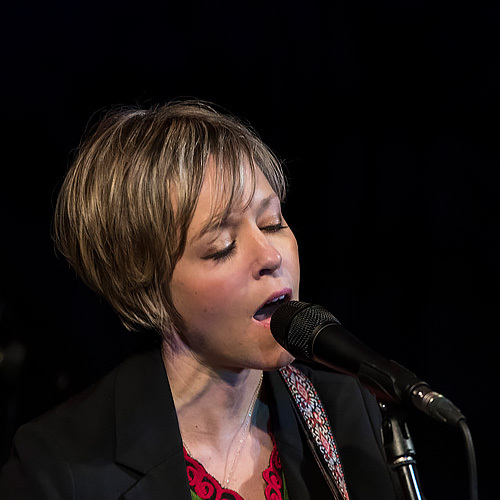 This show is part of the promotional voyage for Emily Barker’s latest album entitled SWEET KIND OF BLUE which makes up half of an extensive setlist which includes other songs from previous albums. Indeed the opening song is the title track of an early album called DEAR RIVER, and which exposes the artist’s love of Americana. It’s a melancholy song with a strong melody and once senses immediately Barker’s vocal skill, range and ability to accurately convey a song’s meaning and sentiments. She also moves from acoustic guitar to harmonica seamlessly and well. ‘No 5 Hurricane’ is the first track performed from the new album and it’s an absolutely beautiful composition that moves along slowly with the other musicians lending their voices in the choruses. It’s a prime example of how the artist understands and appreciates melody which for me is so important. It’s a lovely performance which enthrals the capacity audience. The keyboards provide a dominant and important instrumental feature here. Another new song, ’Sister Goodbye’, is next and is a prime example of a romantic pop ballad with a melody and chorus strong enough to feature on the airways. The guitar solos are mournful and strongly country. Boo Hewerdine has co-written this song and has contributed to several others on the album. Barker tells tales of Memphis and other artists to a rapt audience and conveys an easy ability to connect with her audience. Another track from the new album arrives with the more upbeat ‘If We Forget To Dance’ which also comes with truckloads of melody and choruses that should be play-listed strongly on BBC’s Radio 2… ’Over My Shoulder’ is another new song and for me is a highlight of the evening. 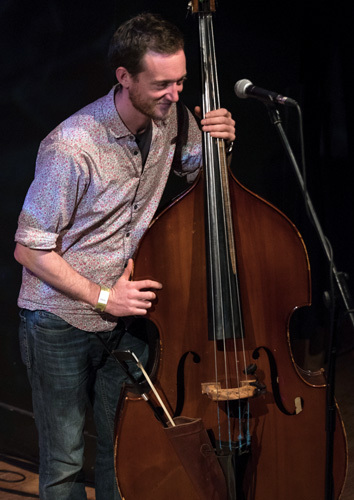 It moves along at snail’s pace accompanied mainly by her acoustic guitar and harmonium with a little help from the double bass played by Peter Roe. Her interpretation is expressive and very moving.